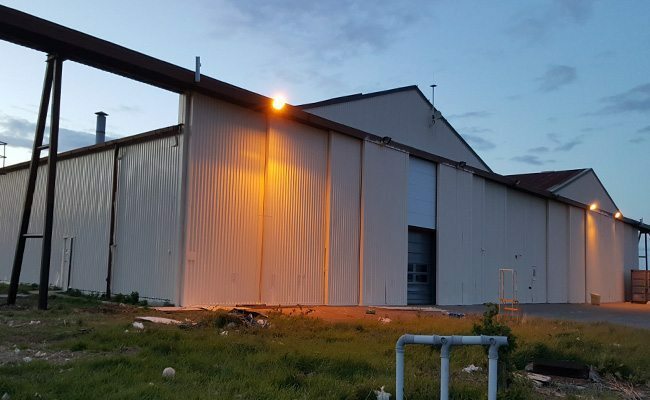 Cladding spraying Upper Heyford RAF heritage Centre. All the panels were sun damaged and flaking, applied a new coat of uv protective marine grade paint. Spray Tone Coatings Ltd are Kingspan approved Cladding Sprayers and repairers. We can offer a nationwide service for the spraying of internal and external clad walls. For any of your cladding spraying please feel free to contact us. Spray Tone Coatings Ltd are Kingspan approved repairers. 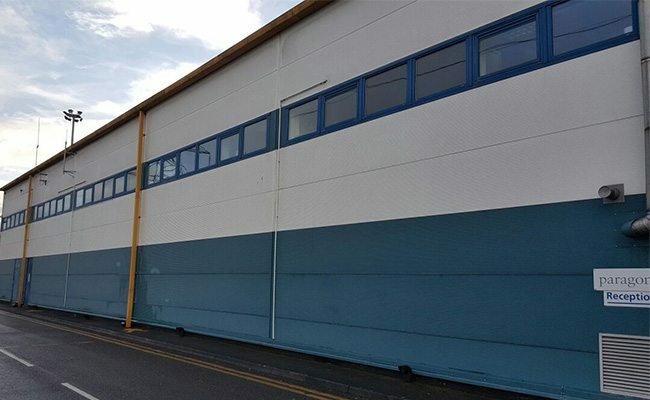 Our cladding spraying service can refresh or recolour any kind of external or internal clad wall, as well as just refreshing and respraying cladding we are able to carry out extensive repairs to thermal clad walls keeping the integrity of the insulation properties of the panels. We are able to spot repair a cladding rather than replacing the whole section this works extremely well on new builds, we have worked on many new construction sites snagging repairs to external clad walls that often get damaged during the build phase. 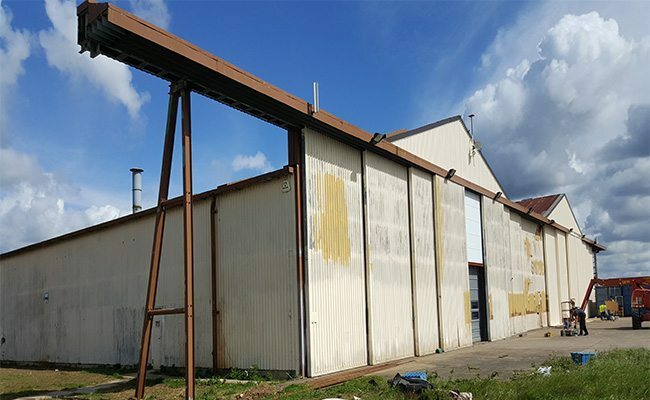 Our thermal cladding panel repairers are all PASM, IPAF and CSCS accredited. They are very good at what they do and can repair extensive damage to the exterior and interior panels on most sites. We work nationwide with some of the largest companies in the industry. 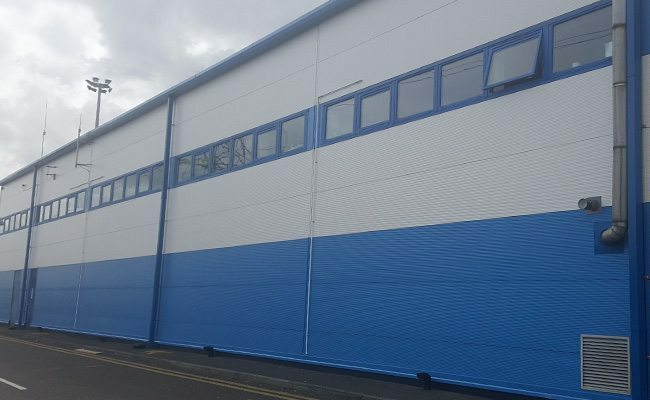 We have worked on some of the largest projects in the UK, these include isoclad wall repairs to the archive floors at the Birmingham Library, external wall cladding repairs to Morrisons in Berwick on Tweed, and external ribbed cladding repairs to Hospitals and Gyms across the UK. Spray Tone Coatings is an approved repairer for Kingspan panels, All our repairs are carried out to a high standard. We have worked on some large projects including the Birmingham library where we had to do extensive repairs to the thermal clad panels in the archive areas.